Surety bonds are a critical success element to virtually every small business owner. Without them, buildings would not be built and small businesses would not be able to occupy their lease spaces. This newsletter will shed light on this “behind the scenes” industry to help small business owners and their counselors better understand both the direct impacts (if you are a construction firm) and the indirect impacts (if you are finishing out space and are dependent on construction contractors). In either case, these bonding activities can have a huge impact on your ultimate success. Construction bonds and or contracts bond refer to a category of bonds. These types of bonds involve contracts that delineate specifics of a project. Both are agreements between three entities or people. Principals are those who execute the project, often a construction company. Those who have the work done for them are called obligees. Governments frequently act as obligees when they contract companies to do road work or build on government property. Then there is the surety agency. As a neutral party, the surety is responsible for enforcing the contract. Though principals usually have the most contractual requirements to meet, sureties guarantee that obligees hold up their end of the bargain too. When either party fails to uphold their contractual obligations, the surety takes action. When principals do not meet deadlines, leave projects unfinished or inconsistent with contractual demands, the principal is responsible for compensating the obligee. On the off chance that the principal cannot afford repayment, the surety covers it. The current surety bond market is relatively tight as the number of contractors choosing to leave projects uncompleted continues to increase due to financial instability throughout the industry. This results in more claims against contractors, which in turn tightens the market for bonds. In such times, surety providers scrutinize the contractor’s job history performance, working capital, owner credit and net worth before issuing the bond. Maintaining a stable and reliable business is the best way contractors can ensure they will be able to secure necessary financing. 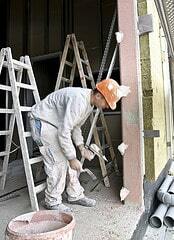 -Construction bonds encompass a number of bonds. Each one serves a different purpose. In order to get the ideal construction bond, obligees need to know what the bond can do for them. -Governments often use bid bonds to get a pool of companies to bid on the project. These bonds solicit serious bidders, ensure that bidders have the financial wherewithal to complete the project and ensure that the bidder will do the project if selected. -To companies cooperating with the contracted business, nothing could be more important than a payment bond. If the contractor does not pay subcontractors, suppliers and/or workers, the payment bond makes sure they get financial recompense. -Consumers often enter into supply bonds with suppliers. A supply bond assures consumers that suppliers get materials per the contract.-Homeowners favor maintenance bonds, which specify that finished work cannot fall into disrepair within a certain amount of time after completion. -Performance bonds simply guarantee that the principal—the contractor—will finish the project. Even if the work gets done, but it is not up to par, the obligee—the hiring party—is protected from financial loss by the performance bond. -Under site improvement bonds, contractors are required to make improvements to existing structures on a property. Subdivision bonds are similar, but cities or states are guaranteed that new structures undergo improvements. In the surety market, a host of trade associations perform several niches. The National Association of Surety Bond Producers (NASBP) works with surety agents to advance the industry by making surety bonds more accessible and bolstering agents’ careers through grassroots. A great resource for surety basics is the Surety Information Office (SIO). The office disseminates the basics on how to go about being a part of a surety bond. Everybody from students to experienced surety agents value the SIO. Centered in Washington, D.C., the Surety & Fidelity Association of America (SFAA) keeps tabs on the surety industry. SFFA is a non-profit that is licensed in all states as an advisory organization. During a business’ infancy, there’s a lot of hustle and bustle on behalf of the entrepreneurs. Purchasing a bond is overlooked all too often. Furthermore, it may be a bit of a challenge for a startup to get bonded, deterring entrepreneurs even more. Without credit history, bonding your company is more difficult. Existing businesses continue to develop a long, strong credit history that dwarves yours. Likewise, operating competitors add to their bottom line while you might be flailing to break even. With little or no financial reserves, bonds are tougher to buy. And a reputation never hurts. Every company has a reputation, unless it has yet to take off. Reputable companies earned the industry’s respect for a reason. As a result, they’re reliable and financially stable so getting bonded is easier. Kevin Kaiser is a principal for SuretyBonds.com , a nationwide surety bond producer. Joining the company in late 2008, he helped pioneer the Surety Bond Education Program which is committed to educating consumers about surety bonds. You can reach him by emailing kev…@suretybonds.com .